A fantastic opportunity to purchase an individual detached 4 bedroom house and detached 1/2 bedoom annexe with garage, courtyard and lovely west facing garden. Situated on a small lane with the Relief channel River and countryside views to the front it would suit purchasers interested in wildlife and bird watching. The property has an exceptional level of accommodation with a kitchen/dining room with Rayburn oven, Living room with wood burning stove and a vaulted ceiling Games room. 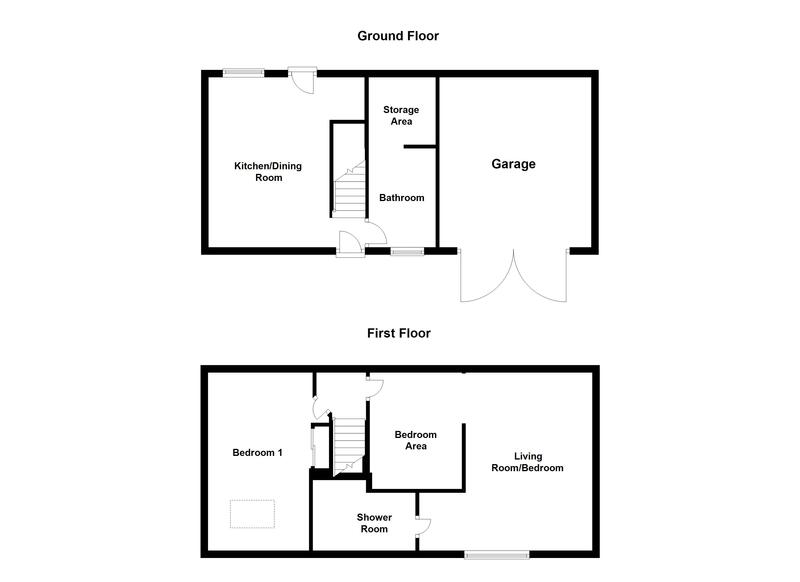 On the ground floor there is a bedroom, study, 2 shower rooms and utility room. 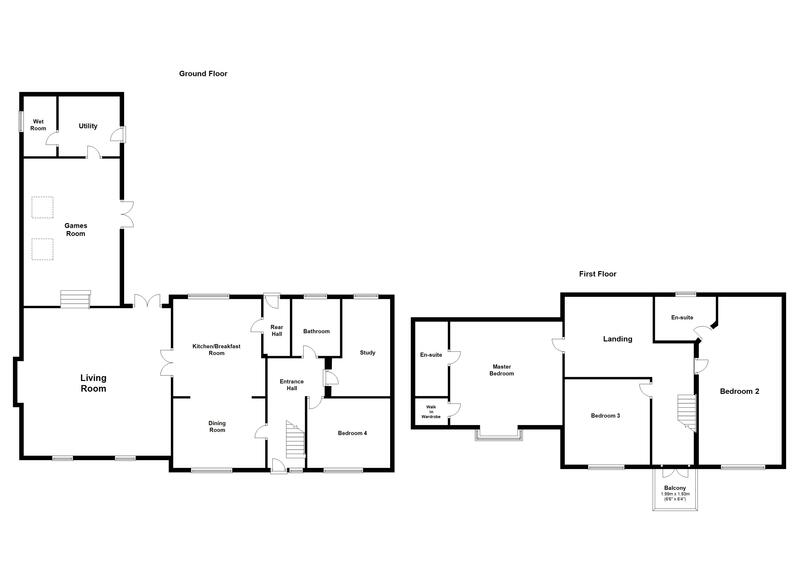 To the first floor there are 3 bedrooms with 2 en-suite shower rooms. Outside is the detached annexe which has a kitchen/diner, Bedroom, shower room and living room/bedroom with its own outside decked seating area and enclosed garden. The property benefits from oil central heating and UPVC double glazing. Door & window to front. Stairs to first floor with cupboard under. Tiled floor. Door to dining room. Opening to Inner hall. 14' 4" x 11' 3" (4.37m x 3.43m) Window to front. Wood laminate flooring. Room thermostat. Television lead. Opening to kitchen/breakfast room. 13' 8" x 12' 8" (4.17m x 3.86m) Window to rear. Units to base and wall level. Rayburn oven (oil fired) to chimney recess with beam and extractor hood. Eye level double electric oven. Electric ceramic hob. Integrated dishwasher. Space and water feed for American style fridge freezer. One and half ceramic sink. Central island with breakfast bar. Tiled floor. Glazed display cabinets. Glazed door to living room. Door to rear hall. 7' 5" x 5' 10" (2.26m x 1.78m) Built in storage cupboards. Tiled floor. Door to cupboard housing hot water cylinder. Door to rear. 22' 8" x 21' 9" (6.91m x 6.63m) Brick fire place with timber beam and wood burning stove. 2 windows to front. 3 Radiators. 4 wall lights. Oak double doors to Games room. Sliding patio door to terrace. 15' 10" x 13' 1" (4.83m x 3.99m) Vaulted ceiling. Fitted drinks cabinet, fridge & shelving. Double doors to patio. Television point. 2 skylights. Oak door to utility room. 7' 6" x 5' 10" (2.29m x 1.78m) units at base level. Stainless steel sink and drainer. Space for washing machine & tumble drier. Tiled floor. Door to rear. Door to Wet Room. 5' 9" x 5' 1" (1.75m x 1.55m) Shower. Wash hand basin. W/C. Wet wall. Tiled floor. Window to side. 12' 2" x 5' 9" (3.71m x 1.75m) Room thermostat. Tiled floor. Doors to Bedroom, study & shower room. 13' 0" x 11' 4" (3.96m x 3.45m) Window to front. Wood laminate flooring. Television point. 9' 6" into door reccess x 13' 9" (2.90m x 4.19m) Window to rear. Wood laminate flooring. Television & telephone points. 7' 5" x 7' 5" (2.26m x 2.26m) Tiled shower cubicle. Wash hand basin. W/C. Half tiled walls. Tiled floor. Shaver point & light. Window to rear. Extractor fan. 21' 7" x 15' 4" (6.58m x 4.67m) max L-Shaped. Double doors to Balcony. Skylight. Exposed beams and vaulted ceiling. Radiator. Oak doors to Bedrooms. 16' 4" x 12' 6" (4.98m x 3.81m) Window to front. Skylight. Radiator. Television point. Walk in wardrobe. Door to en-suite. 7' 5" x 5' 1" (2.26m x 1.55m) Quadrant shower cubicle. Hand wash basin to vanity unit. W/C. Heated towel rail. Skylight. Spot lights. 19' 3" x 13' 1" (5.87m x 3.99m) Window to front. Skylight. 2 Radiators. Door to en-suite. 9' 5" x 6' 5" (2.87m x 1.96m) Whirlpool bath with mixer shower. W/C. Wash hand basin. Radiator. Window to rear. Spotlights. 11' 8" x 9' 9" (3.56m x 2.97m) Window to front. Radiator. Spot lights. Entrance Lobby. Door to front. Stairs to first floor. Doors to bathroom and kitchen/diner. 15' 5" x 11' 0" (4.70m x 3.35m) Solid timber painted units. Range oven. Space for fridge freezer. Space for washing machine. Sink and drainer. Window to rear. Door to rear. Opening to under stair area with LPG gas boiler. Light & power. Storage area. 15' 7" x 4' 1" (4.75m x 1.24m) Bath. W/C. Hand wash basin. Window to front. Opening to storage area. 11' 5" x 6' 1" (3.48m x 1.85m) Radiator. Opening to Living/Further bedroom area. 15' 5" x 11' 6" (4.70m x 3.51m) Radiator. Television point. Door to Lobby with radiator and opening to shower room. Tiled shower cubicle. Hand wash basin to vanity unit. W/C. Extractor fan. 15' 7" x 11' 6" (4.75m x 3.51m) Built in double wardrobe. Radiator. Skylight.